Founded in 2009, Kno began its career with ambitious plans to disrupt education with a little mobile hardware — by developing a tablet that was tailor-made for students. Unfortunately, thanks to the meteoric rise of the iPad and, later, Apple’s big re-entry into the textbook arena with iBooks 2, Kno’s hardware efforts didn’t pan out. Beginning early last year, the startup pivoted towards a more agnostic solution, creating an educational software platform and app to bring interactive textbooks to the college crowd. Of course, with nearly $80 million raised from investors like Andreessen Horowitz, Mike Maples and Ron Conway, there’s more pressure on Kno to generate growth (and revenue) than there is on your average edtech startup. Today, the Santa Clara-based company took a big step in that direction, expanding its scope beyond the college campus to introduce digital textbooks into K-12 classrooms. To take on grade-agnostic solutions like iBooks 2, Kno is today announcing that it has forged a partnership with educational publishing giant Houghton Mifflin Harcourt. It’s a big win for Kno, as the 132-year-old publisher currently owns about 50 percent of the K-12 market. However, with $80 million-worth of pressure, the company can’t rest on half, it needs to continue pursuing partnerships — with Pearson and McGraw Hill in bold at the top of the list. Along with Houghton, the three companies make up the lionshare of the textbook market. As to distance traveled since 2009? Today Kno is being used by students in 5,500 universities and co-founder and CEO Osman Rashid (who is also a co-founder of textbook rental player, Chegg) tells us that its free app has attracted more than 500,000 downloads. 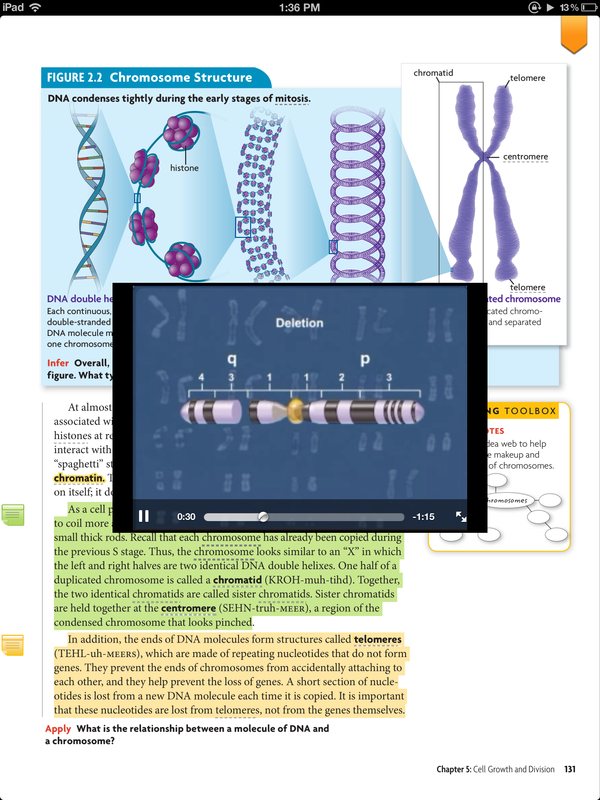 Thanks to its new partnership with Houghton, Kno is boosting both the quality and quantity of the content in its apps, as it begins to offer the publisher’s textbooks in digital form on iPad and the Web — with availability on Android and Windows 7 coming soon. But what’s interesting is that Kno will offer its digital textbooks for $9.99, a significant increase in price from its first app. What’s more, as Rashid admits, most public schools dole out textbooks for free, so it might just seem a little backwards to expect students and parents to pay for content they’re already getting for no cost. Compared to the price of what college students pay for textbooks, of course, $10 is nothing. But the K-12 market is different, as are the margins. However, the CEO believes Kno’s potential lies in parents, specifically, that mom and dad may well be enamored with the opportunity to have the same textbooks their children use in school available at home — in a familiar package and format. Kno also alleviates the pain many parents experience when watching their kids lug around heavy backpacks, brimming with bulky hardcopy textbooks. With Kno’s new offering for K-12, parents can rent the textbooks their children are using in school without having to watch their kids develop Scoliosis at an early age. Kno is essentially licensing its publishing partners’ titles and will thus be taking a cut of the sales of its eTextbooks. Yet, at $9.99 a pop, that doesn’t exactly seem like a deal that spells financial gold for the company. But Rashid said that he hopes that rentable, interactive textbooks (and skinnier backpacks) will help the startup win the parental vote, even if it means not generating cash fast and furiously. If parents are moved by availability of a quality alternative, they could help spur widespread adoption of Kno’s platform and, in turn, push more schools to warm up to the idea of bringing mobile devices into K-12 classrooms. After all, they’re the decision-makers in the K-12 market — not the users themselves. The other integral piece of Kno’s content partnerships will be to begin the process of bringing online bookstores into K-12 schools as well, so that digital textbooks can be bought and sold directly through a school’s network. It’s definitely an exciting time for the intersection of technology and education, as a plethora of services are beginning to make educational tools and beyond available online. Colleges have really led the way thus far as they represent the low-hanging fruit for companies hawking educational software, tech services or hardware, but online bookstores, courses, and mobile textbooks are coming and coming soon — even to K-12. And Kno is obviously hoping that it can be among the early beneficiaries through its partnerships with the old guard of educational publishing. 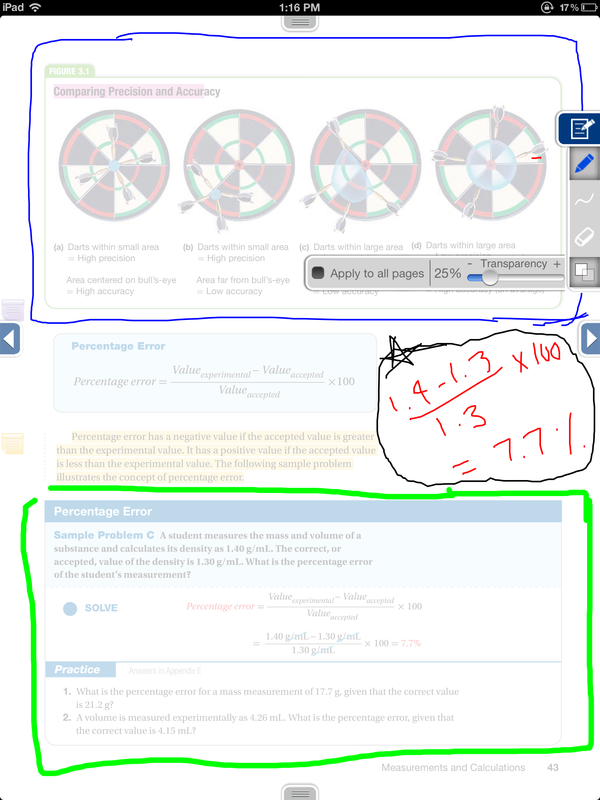 Of course, there’s a lot of noise around “interactive” textbooks, but that qualifier tends to be overused and gets sapped of meaning as a result. So what does it mean in Kno’s conception? The startup’s “interactive” features provide students, for example, with a digital journal that automatically saves their notes and highlights them in a digital study notebook, along with flash cards for key terms within the context of the lesson — all of which is intended to help students study more efficiently and retain their reading, writing, and ‘rithmetic. 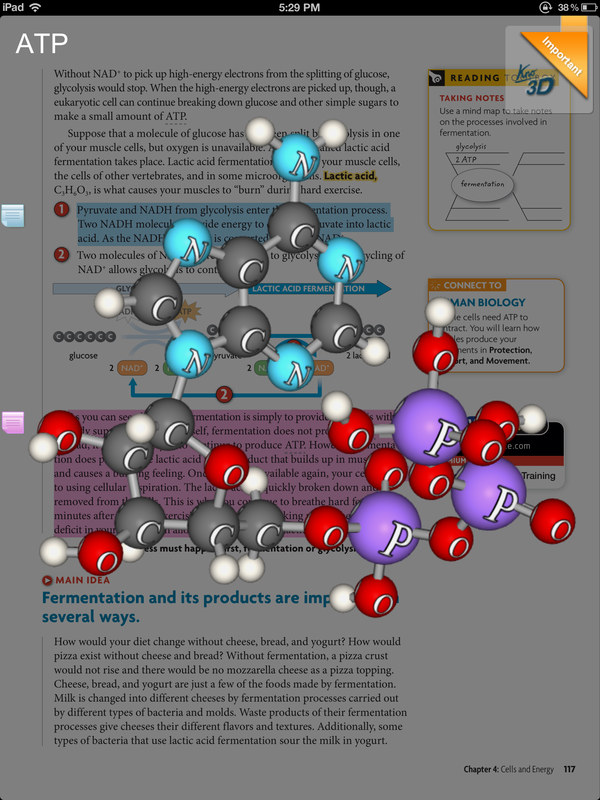 The new K-12 textbooks also feature 3D models that bring chemistry concepts to life, for example, a “Quiz Me” feature that turns a book’s diagrams into a multiple-choice quiz, and “SmartLinks” that deliver videos, images, and photos to both formulas and concepts in realtime for easy reference. As to what’s next? Rashid says Kno is working on adding a suite of deep analytics that will help parents and students keep track of and measure reading progress. Ultimately, while there’s a lot of appeal to Kno’s platform, it’s also true that the company is hardly alone in the eTextbook space. Inkling is busy developing a robust, enterprise-grade publishing CMS that lets any publisher turn their hardcopy textbooks into a digital product, while bringing interactive learning content to the iPhone. Meanwhile, BenchPrep has forged a number of its own partnerships with top publishers to create interactive study guides from partner content, creating an educational platform of interactive, game-ified courses. Obviously, Kno and BenchPrep are taking slightly different tacks, but they’re both going after the same eyeballs and competing for the same content. In the end, the more the merrier, as schools, students and parents are the ones who get to enjoy the benefits of this competition and the arrival of more engaging, digital educational experiences. More on Kno at home here.